Our experienced team at Ocala Dental Care proudly offers a variety of same-day treatments in Ocala for your convenience and comfort. Thanks to our on-site lab, we can also repair your existing dentures in one day. Same-Day Dentistry at our Ocala, FL practice is not only convenient, it also provides realistic and accurate results that can significantly enhance your self-confidence and insure your dental health and oral function for many years. 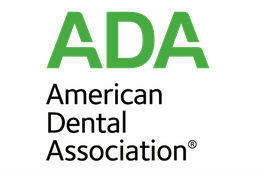 Our dentists understand that your time is one of your most valuable assets. Therefore, we aim to perform as many treatments as needed in one appointment. At the same time, we also value your personalized care. Though we work quickly, we conduct thorough consultations and give you the opportunity to explore your treatment options and ask as many questions as you need to make an informed decision. There are many reasons we can provide such timely care. We have a fully equipped on-site lab. We can craft a brand new prosthetic or repair damaged ones thanks to our on-site lab. Our facility also boasts several advanced tools, including panoramic x-rays to provide the most advanced dental care available. Dentures: We can provide both traditional and implant-supported dentures. We use high grade acrylic to ensure lifelike results. Your full or partial prosthetics will be a precise fit and match your smile. Denture Repair: Periodically dentures need to be re-aligned or re-adjusted to fit your mouth. When you visit our practice, you can drop off your prosthetics in the morning for repairs and pick it up the same afternoon. Tooth Extractions: If you have severe dental damage, an extraction may be appropriate. With our precise techniques we can remove your compromised tooth and provide a suitable restoration in one appointment. Crowns: We work with skilled ceramists on site to create crowns made from advanced materials such as ceramic and zirconia, we can often prep your tooth and attach the restoration in a single day. Bridges: A dental bridge can replace several missing teeth. Traditional and implant-supported bridges are available. Fillings: We can do fillings and remove old fillings in the same day. We offer metal-free composite restorations. With our onsite lab, advanced technology, and clinical skill, we are even able to place dental implants the same day as your consultation. Dr. Salifu and Dr. DeLeon are dental implant specialists and can perform dental implant surgery and then once you have fully healed, we can secure a permanent denture to the implant posts. 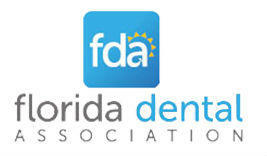 Call Ocala Dental Care to enjoy an immediate restored smile and dental function. Or contact us on line to schedule a consultation. Because our doctors specialize in a number of procedures, we can often address all your oral health concerns in one appointment.